唐醫生細心聆聽, 仔細檢查, 手術前會詳細講解, 令我減低擔心, 術後醒時, 他會在旁觀察, 不會第二天巡房才見到, 能立即了解自己的情況, 當我說護手套很不舒適, 他會立即認真解決問題, 第二天醒來沒多久便會來關心及檢查, 洗傷口相當溫柔不粗暴! 當說出因事故引發的心理狀況時, 他會顯得憂心, 即時給轉介信, 重點是會覺得唐醫生像朋友一樣擔心你, 在有病痛傷患時, 會得到安慰! As a pharmacist myself who just picked up long distance running, I had a stress fracture at my left leg in December. 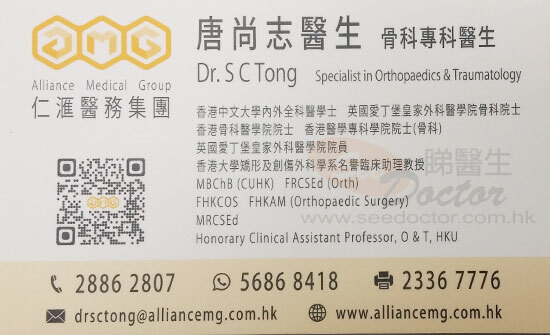 After a week of pain which only got worse to an extent that I cannot even walk, I just randomly googled any orthopaedist to get help and I came across Dr Tong. 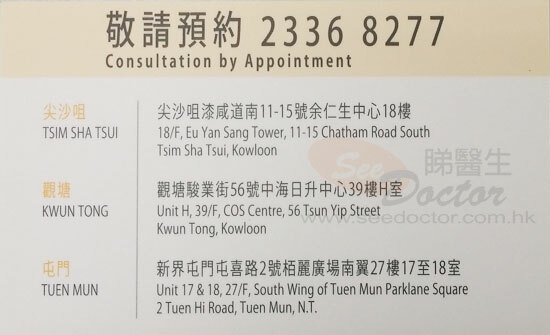 Dr Tong is a very professional doctor, who doesn't simply just diagnosis my problem, but also provide different treatments available. He only suggested the treatments which are necessary and nothing else. No BS, no time wasting, only there to help you. He even helped me to process my very confusing BUPA insurance claim. With his help and professionalism, my fracture healed and now I am able to run again. If you ask me if I would go to visit Dr Tong again, my answer is always yes.